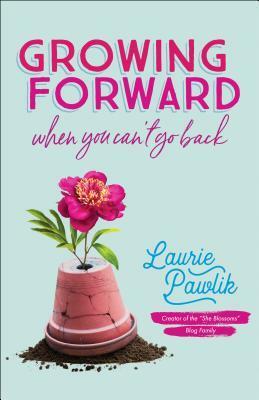 Growing Forward When You Can’t Go Back by Laurie Pawlik is a sensational read. I really enjoyed reading this book. The pages were filled with heartfelt talk and Biblical references in plain English. It wasn’t just a quote from a Bible but a rephrased wording of it that made it easy to read and understand. The journey to redefining myself and finding ways to cope with moving forward felt good. Laurie Pawlik has a way of drawing out the positives and showing the reader her own wounds as an example. She too, has felt pain and sorrow. Yet she has built herself up and continued moving into the future. I really recommend this book to all readers, not just women.